Make a statement with a beautiful internal timber staircase. We can help you create a staircase to suit the space available in addition to giving you ideas, examples of design and baluster turning patterns. From concept to completion we will work with you to ensure that the design you like forms a central feature in your home. 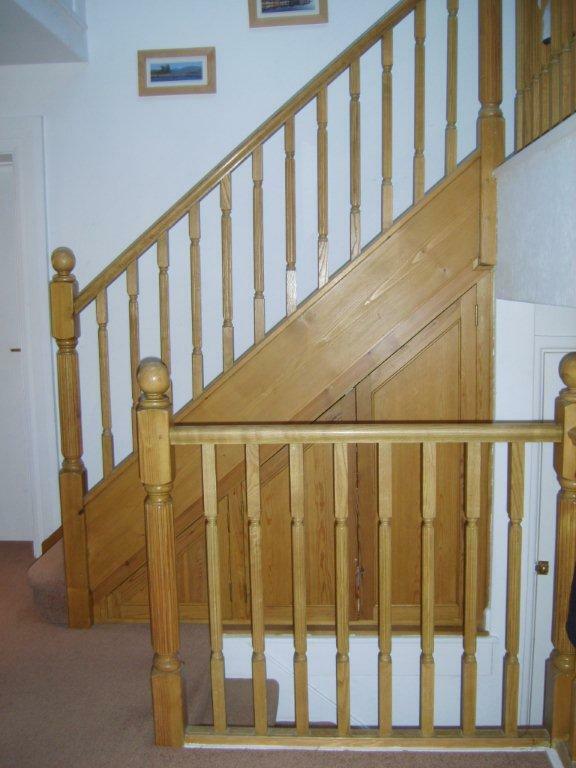 Your staircase will be unique – whether it is a simple single flight or grander design we will provide you with the same service to ensure that you are pleased with the end result! Internal staircases can be manufactured from various timbers with some of the popular ones now being European Oak, American White Oak, Ash, Sapele. 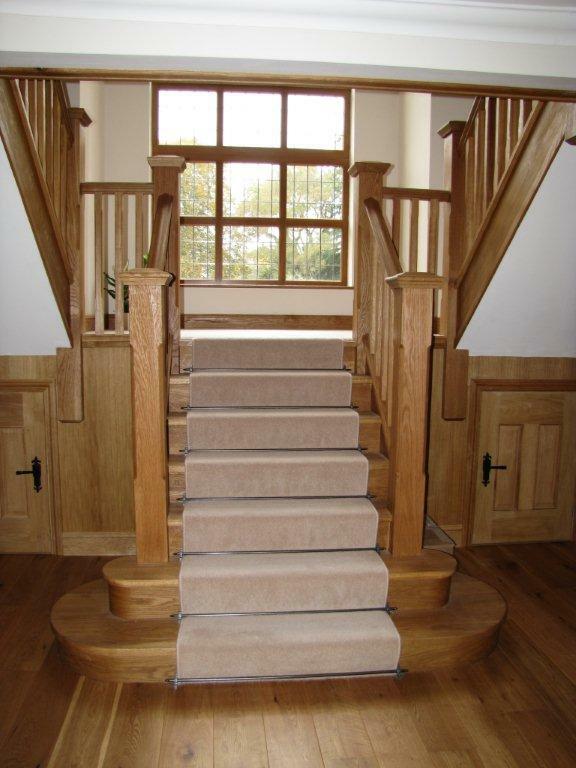 However you may want to carpet the stairs in which case we can manufacture in softwood to reduce costs. Perhaps you would like to incorporate contemporary glass balustrading instead of timber balusters and we work with glaziers to help you achieve this design combination. We manufacture external timber staircases in a variety of timbers but primarily Tanalised softwood. Again the stairs can be designed to suit your requirements and may be an escape route, allow you to access your garden from an upper flat or decking. 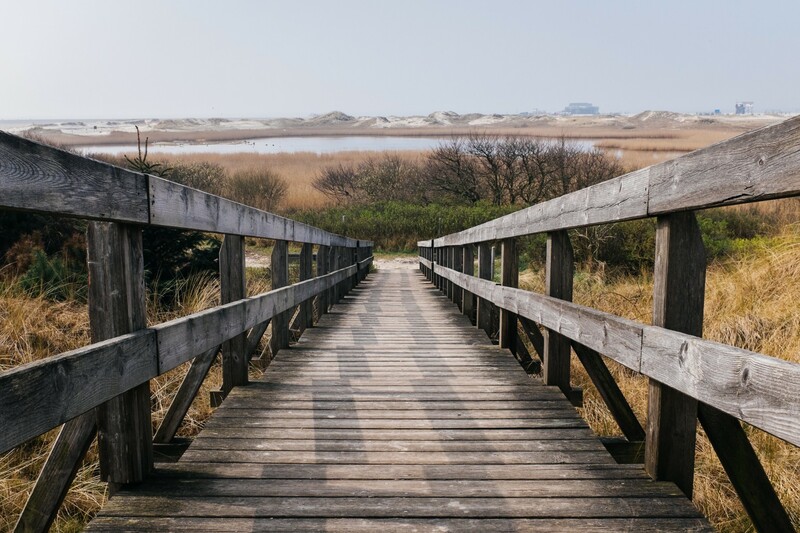 We can provide you with bespoke handrailing and unique balusters in a variety of timbers and designs.